This beautifully maintained, highly sought after one story home in gated Pioneer Village features 3 bedrooms plus office/den *addition and 2 baths. This entertainers dream includes 5 sliders, each with its own view to 3 different backyard patios! Some of the many upgrades include: hand scraped birch floors(2018), plantation shutters, large open concept family room w/custom built in cabinetry, fireplace & whole home speaker system. Chef's kitchen w/granite countertops, stone backsplash, stainless Bosch appliances, gas stovetop w/downdraft, dbl oven, wine refrigerator, hand blown pendants and more! Master bdrm w/wood floors, 2 closets, fireplace/mantle and tranquil views of pool & waterfall. Lushly landscaped backyard includes custom built river rock raised bed, fire pit (inc. in sale), 1, 500+ sq. ft. of custom brick pavers & resurfaced pebble sheen pool/spa ($60, 000+ in 2018). HVAC system replaced in 2014 & cement/tile roof in 2011. 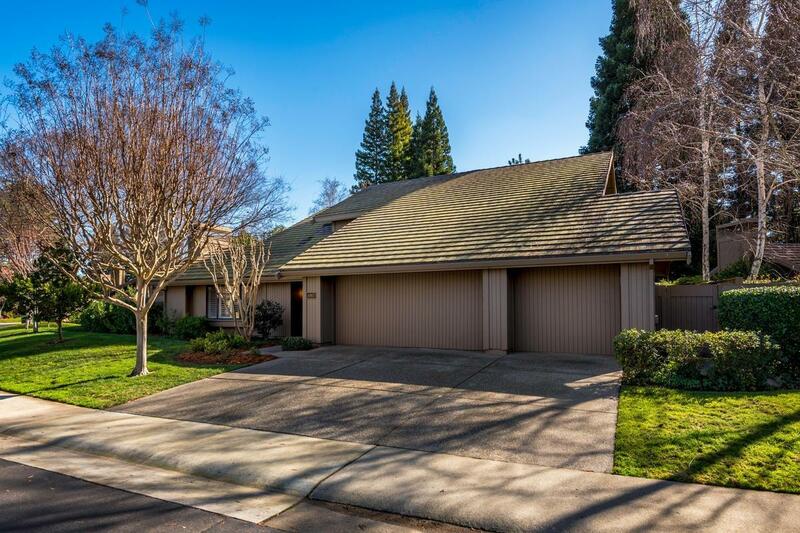 Close walk to the American River/trails and shopping!